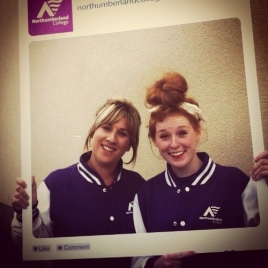 To increase brand awareness for Northumberland College among a core demographic of young students looking at their options after finishing school. 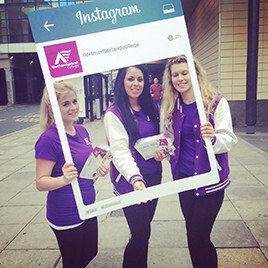 Deployed street teams of brand ambassadors to 7 key catchment areas of Northumberland and Newcastle. 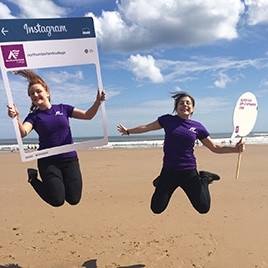 At each area the staff were instructed to spread the word about Northumberland College enrolment, using a number of key building blocks to convert this characteristically shy young demographic of people. 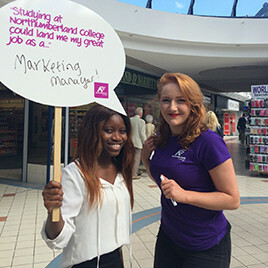 The building blocks used in this activation included Northumberland College branded Instagram frames, bubbles, and props related to potential college subjects such as hard hats, footballs and lab coats. Promotional staff were armed with these props to attract the youngsters and create photo opportunities for social media content creation. 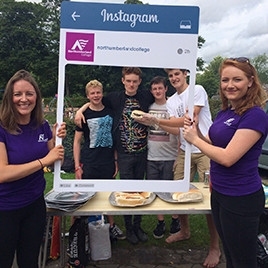 The props successfully helped to convert the public’s attention in to genuine conversation about the colleges as well as social media content creation, with staff uploading to the Independent Events Twitter account and encouraging students to upload to be in with a chance of winning the £50 ASOS voucher.